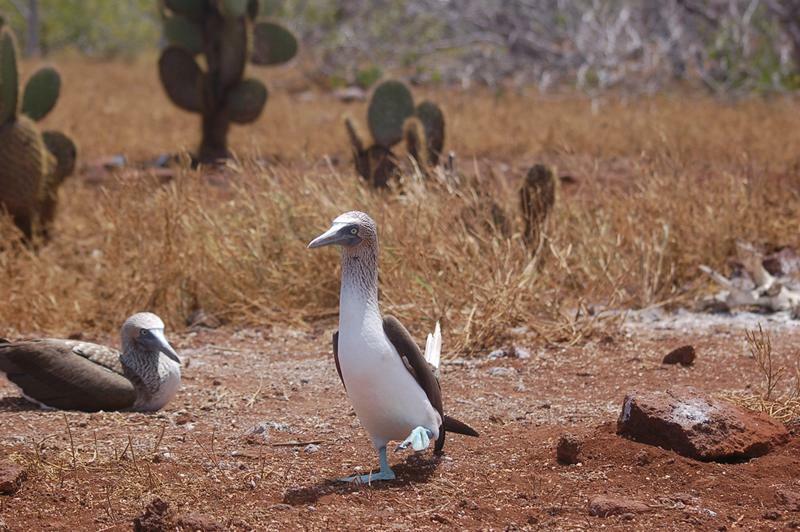 The courtship of the blue-footed boobies is really hilarious. 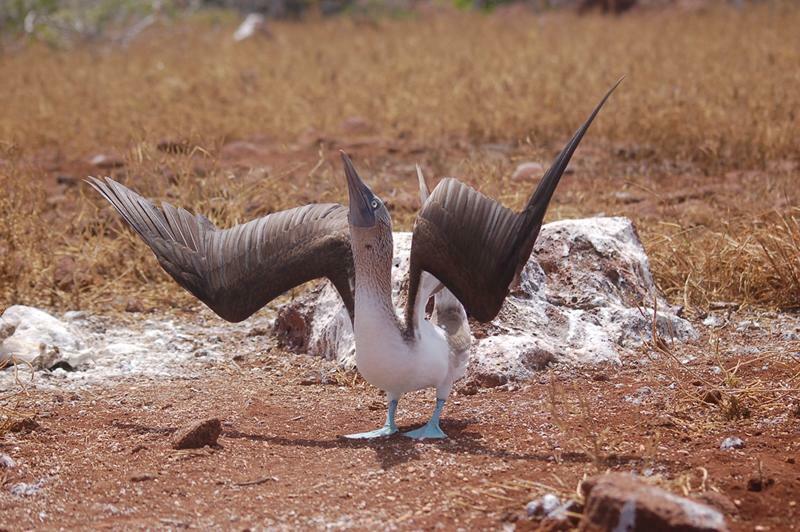 The blue feet are lifted one at a time in a solemn dance by the male. 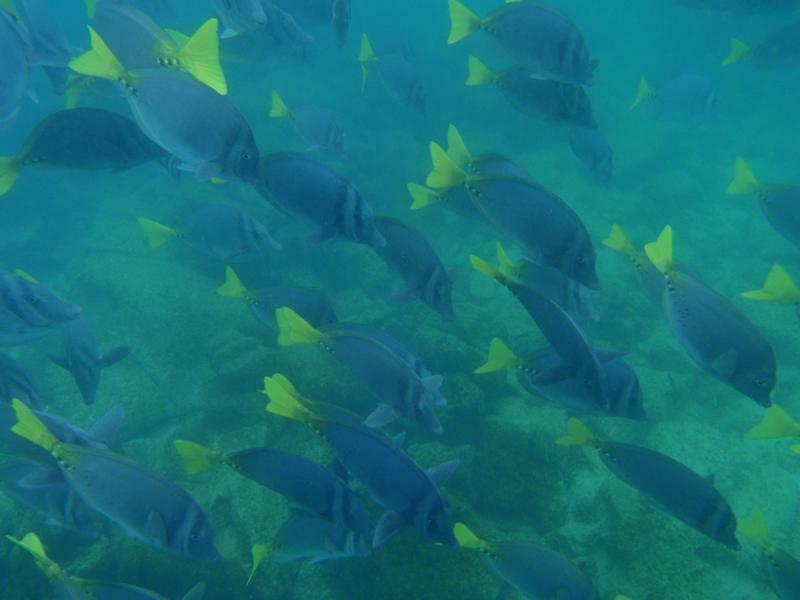 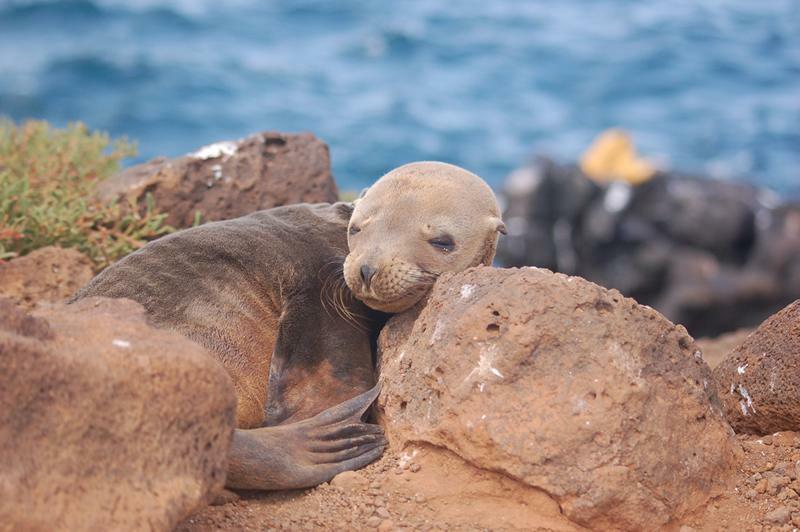 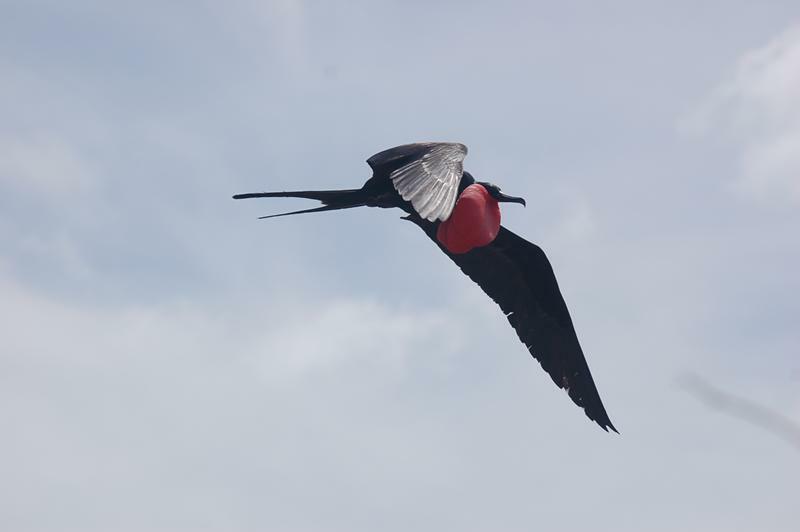 The pair will then sky-point with their tails and beaks, opening their wings and honking or whistling. 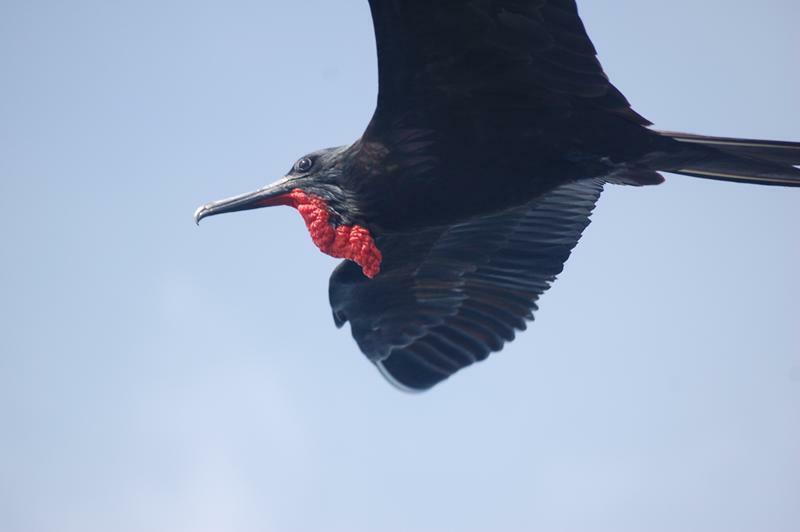 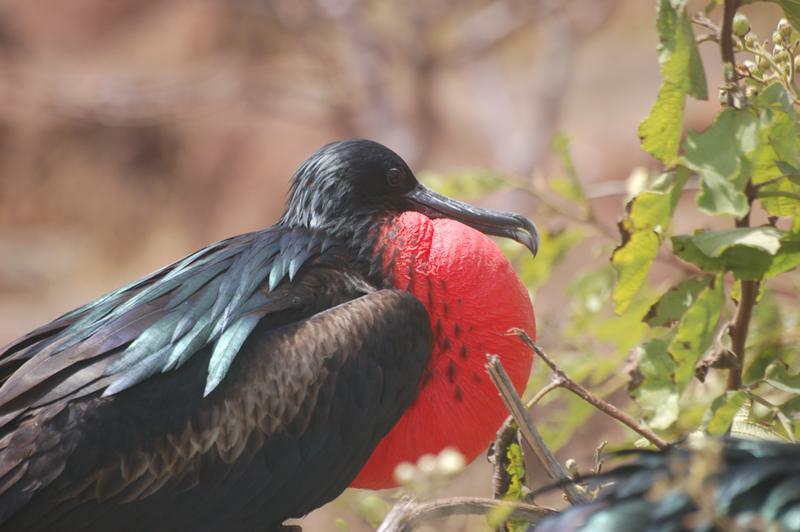 Frigate bird courtship is spectacular with several males sitting close together inflating their scarlet gular pouches, then lifting their heads and trilling.